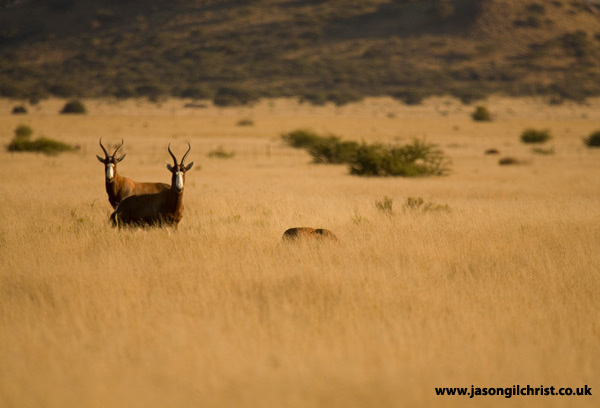 A pair of blesbok stand together. Prominent is their characteristic white facial blaze. Blesbok (Damaliscus dorcas).